That’s right. Even though we’re celebrating our “CHRISTMAS in JULY” sale all month with 20% OFF EVERYTHING! We also share a few other special days this month. 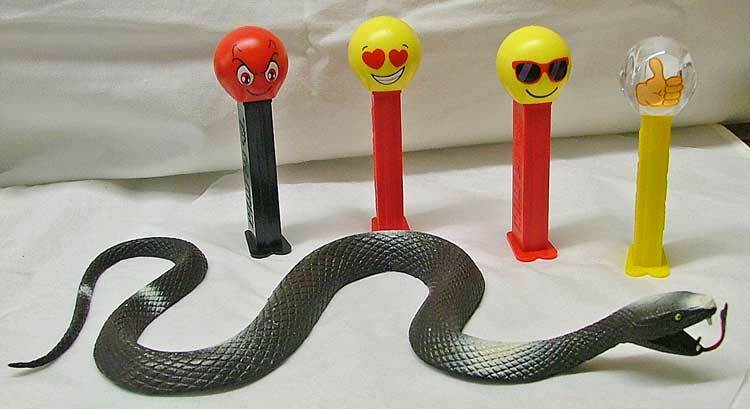 JULY 16 is WORLD SNAKE DAY! But we know there are snake lovers everywhere. Our local Ranger Bob has been trying to teach folks to love and appreciate snakes for decades. Some of us are tough to convince! Snakes have been around since the Garden of Eden. So, it only fitting, that the world has a special day to celebrate snakes. The Bible tells us that in the garden of Eden, Satan appeared to Eve in the form of a snake. That connection to Satan, gave snakes a bad reputation since the beginning of time. Perhaps that’s why so many people are afraid of snakes. Did You Know? Earthworms were once believed to be a species of snakes. Gardeners killed every one they found, unaware of the beneficial effect of earthworms in gardens. By the way, to those who just can’t be convinced to love a snake, you’ll need to move to Antarctica!!! The only place on earth that doesn’t have snakes! But, it’s also WORLD EMOJI DAY on Tuesday, July 17! Emojis were first used in Japan in the late 1990s on mobile phones. They are fun to use. As a result, their popularity and use has grown exponentially. Today, you couldn’t imagine a world without emojis. Golly, did we have mobile phones in the 1990s! Do you know who created the first smiley face? The answer is on our facebook post today! So hurry in…. there are a few ….errrr….snakes hangin’ round (um….I don’t think any are alive!). We also have some fun ’emojis’ for the collector! We’ll be watchin’ for ya!